“Looking for Oum Kulthum” is the plight of an Iranian woman artist/filmmaker living in exile, as she embarks on capturing the life and art of the legendary female singer of the Arab world, Oum Kulthum. Through her difficult journey, not unlike her heroine’s, she has to face the struggles, sacrifices and the price that a woman has to pay if she dares to cross the lines of a conservative male dominated society. 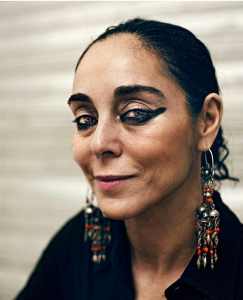 Shirin Neshat is an Iranian-born artist and filmmaker living in New York. Neshat’s early photographic works include the Women of Allah series (1993–1997), which explored the question of gender in relation to Islamic fundamentalism and militancy. Her subsequent video works departed from overtly political content or critique in favor of more poetic imagery and complex human narratives. Neshat continues to explore and experiment with the mediums of photography, video and film. Her most recent bodies of work include the photographic series The Book of Kings (2012), The Home of My Eyes (2015) and the trilogy Dreamers comprised of three video installations: Illusions and Mirrors (2013), Roja (2016), and Sarah (2016). Neshat has held numerous solo exhibitions at galleries and museums worldwide, including the Museo Correr in Venice, Italy, to coincide with the 2017 Venice Biennale; the Hirshhorn Museum and Sculpture Garden, Washington D.C.; Yarat Art Center, Baku, Azerbaijan; Mathaf: Arab Museum of Modern and Contemporary Art, Doha; National Museum of Modern and Contemporary Art, Seoul; Detroit Institute of the Arts, Detroit, Michigan; Stedelijk Museum, Amsterdam; the Serpentine Gallery, London; Hamburger Bahnhof, Berlin; the Walker Art Center, Minneapolis; and the Musée d’Art Contemporain de Montréal, among others. Neshat has participated in major international group exhibitions, including the 48th Venice Biennale of Art (1999), the Whitney Biennial (2000), Documenta XI (2002) and Prospect.1 New Orleans (2009), Palazzo Grassi-Francoise Pinault Foundation (2012), Museum of Fine Arts, Boston (2013) and LACMA (2015). Neshat was the recipient of the Grand Prix at the Gwangju Biennial (2000), the Golden Lion Award – the First International Prize at the 48th Venice Biennial (1999), the Hiroshima Freedom Prize (2005), the Dorothy and Lillian Gish Prize (2006), and The Crystal Award (2014). Her work is included in the collections of museums and public institutions around the world. In 2009, Neshat directed her first feature-length film, Women Without Men, which received the Silver Lion Award for Best Director at the 66th Venice International Film Festival. 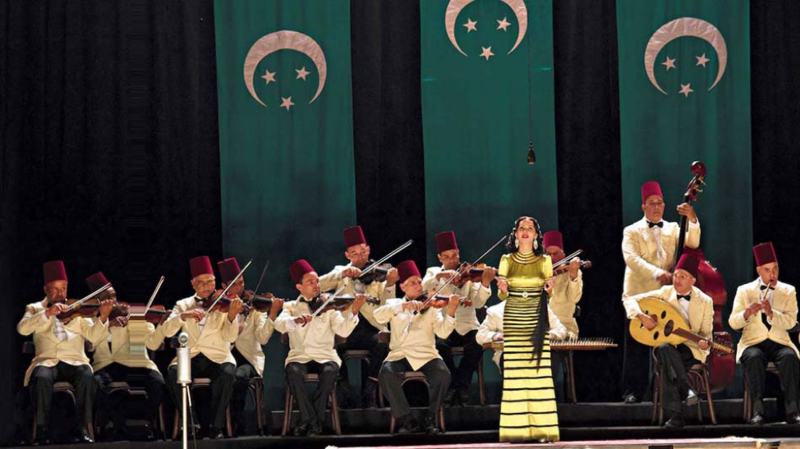 She has recently completed her second feature-length film, based on the life and art of the legendary Egyptian singer Oum Kulthum.